Thanks to Disney Studios for providing me with product in exchange for my review. All thoughts are my own. What's not to love about LEGO? What's not to love about Star Wars? Put them together and you have an incredible combination that makes the boys in my house totally lose their minds. We can't walk past the LEGO store without poking our heads in to see the latest LEGO sets, especially the LEGO Star Wars Sets! Someone has the LEGO Star Wars Millenium Falcon on their mega wish list- and here's a hint... it's not my 7-year-old! Since my guys are LEGO Star Wars superfans, they were ecstatic to find out that LEGO STAR WARS: THE FREEMAKER ADVENTURES: Season Two would soon be coming to DVD (and to our house!). 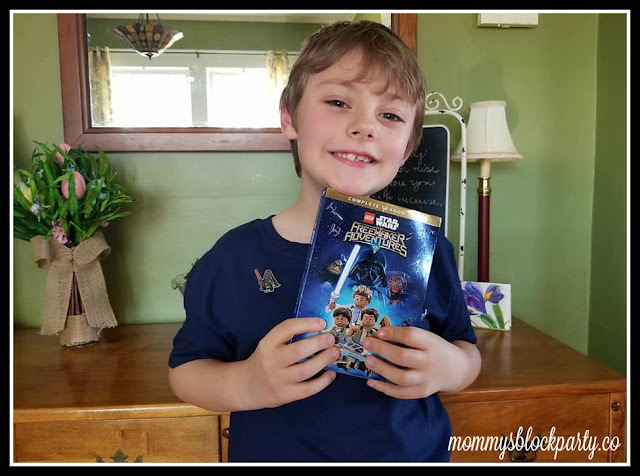 This incredible series is loads of fun for LEGO fans & Star Wars fans alike! New season, new characters, new adventures! 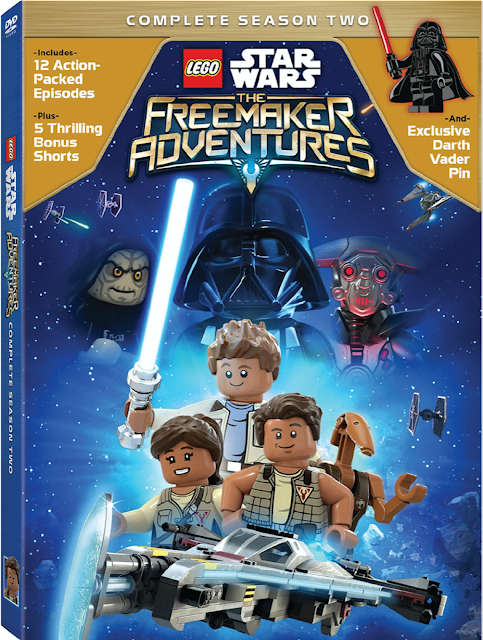 The second season of “LEGO Star Wars: The Freemaker Adventures” delivers all 12 action-packed episodes plus five bonus shorts on DVD! The Emmy®-nominated animated television series is set between Stars Wars: The Empire Strikes Back and Star Wars: Return of the Jedi and focuses on the three Freemaker siblings as they explore new worlds, meet new characters and Star Wars icons, and have unforgettable adventures. The second and final season follows Rowan, Kordi and Zander as they are thrown into battle after they join up with the Rebels! This cool DVD comes with a bonus gift- a Darth Vader pin! This one's a keeper. There are twelve episodes included, and five additional shorts. B was glued to the TV screen as we watched the first couple of episodes. 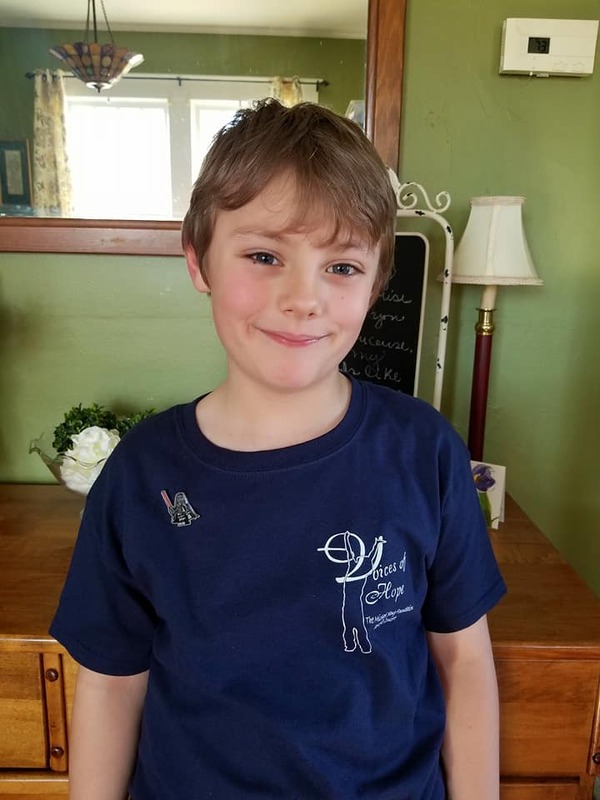 He's seven, and this show is geared right within his age range. My husband also thinks this show is really fun, and has enjoyed watching it with B. It's nice that they can enjoy watching it together while they work to build LEGO sets. Everyone in our house thinks the Darth Vader pin is extra awesome. Hubs has already tried to swipe it from B, asking if he could have it. Looks like I'm going to have to hunt down another one. I was going to hold onto this to put it in B's Easter basket, but I was just too excited to wait! 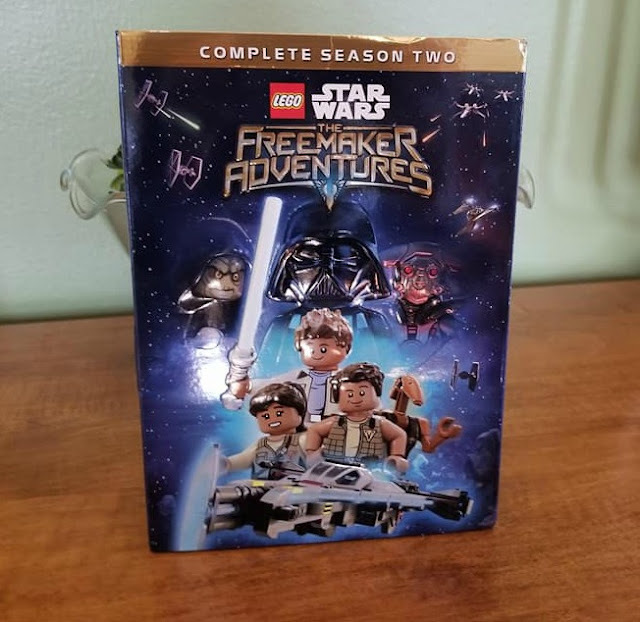 Look for LEGO STAR WARS: THE FREEMAKER ADVENTURES" SEASON TWO in the MBP Amazon Shop on March 13th! Special thanks to the kind folks at Disney for allowing us to share about their latest release! 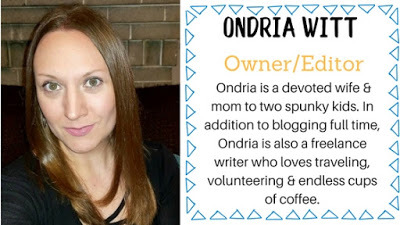 Look for it in the MBP 2018 Easter Gift Guide!